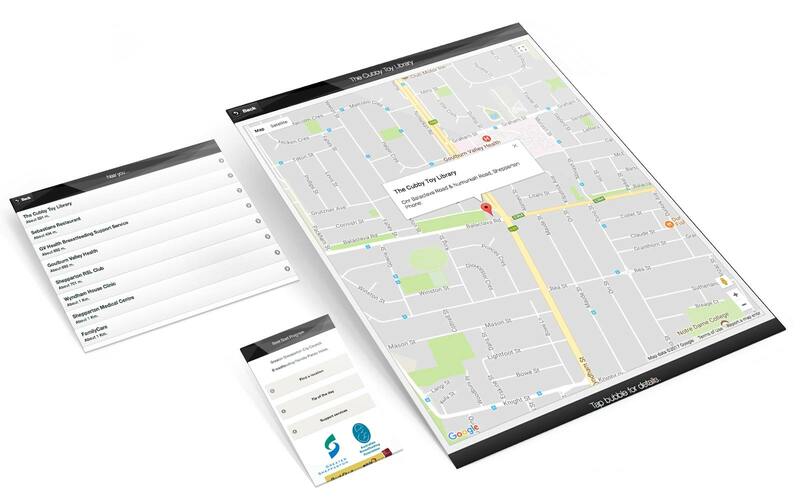 The Shepparton Council wanted an app that would work primarily on mobile phones, but also on desktop computers and tablets. The app is web based, and shows the proximity of family friendly facilities. This app shows some of the capabilities of making specific regional locations accessibile in a map based format and proximity to your current location.